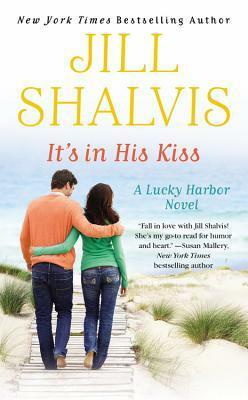 The Lucky Harbor series by Jill Shalvis has drawn to a close *sob*. Well to be honest it actually ended last October but I'm just getting over my denial about the whole thing and read the final three. While I'm sad to say goodbye to Lucky Harbor I loved meeting these characters. For starters, I absolutely love how Shalvis did this series. I've read any number of long running series where all the books are very connected and every single character makes and obligatory appearance. By the last few I spend most of the book trying to remember who Joe and Jane are and what book they're from and how they're connected to Mary and Steve. Instead Shalvis broke the series up into loosely connected trilogies. With each trilogy we get a fresh set of characters and while we may see characters from a previous trilogy (like Sheriff Sawyer from book #3 may pull over a character from book #7 for speeding or something else reckless or characters from book #9 may go into the bar owned by Jax from book #1) you don't actually have to keep track of everyone but it's still building a sense of community for the reader. Seriously, it's brilliant. In this trilogy we meet Sam, Cole, and Tanner. Long time friends who have been together through thick and thin with a good dash of tragedy. Along the way we also meet Becca Thorpe, Olivia Bentley, and Callie Sharpe. All three women come very different backgrounds and have very different stories to tell and it's such fun to watch everything come together. First up is Sam and Becca in It's In His Kiss. It's hard not to like Becca. She's so enthusiastic and just generally kind that it's easy to see why Sam is immediately drawn in. He's a fixer by nature and is always the one in charge. Cole and Tanner both tend to look to him for direction. Becca and Sam are both used to taking care of others and it was nice to watch them start to lean on each other even though they both kept their secrets far too long. It was absolutely lovely watching Becca become at home at Lucky Harbor and with how touched she was by the acceptance of the residents. I loved how Sam really tried to see the value of herself for what she was doing NOW versus some past image. It's hard to say which was my favorite trilogy of this series though I'm leaning towards books 4, 5, and 6. I'm sorry to say goodbye to Lucille and all the rest but I'm looking forward to starting Shalvis's new series and catching up with her Animal Magnetism series. If you enjoy a good contemporary romance don't let the number 12 scare you. With the way the series is set up just pick whichever book appeals to you and you won't have any problem catching up and if you enjoy your visit to Lucky Harbor half as much as I enjoyed mine you won't regret it! That's tough when a series ends, I love getting to know the characters and you feel like you actually do know them. Did you change your site format? It looks a but different but I am on a computer today instead of a tablet. Sometimes the mobile version make a difference. The mobile version is definitely different. I noticed that the other day and am not sure what I'm going to do about it. I love this series! She's definitely done a great job building a community with great characters. Ahh, I love when a series has that sense of community. I didn't realize that the series broke up like that, but that's a really cool idea. I have a few of her books that are just scattered throughout the series. It really is great that you can pick up anywhere in the series and it works. I hope you really enjoy this series when you get a chance! This is probably my favorite trilogy in this series. I love Becca and Sam's story the most, I think. Those two just found special places in my heart. I loved them too though I think Olivia was my favorite character though I didn't like that book quite as much. Definitely one of the most solid trilogies. 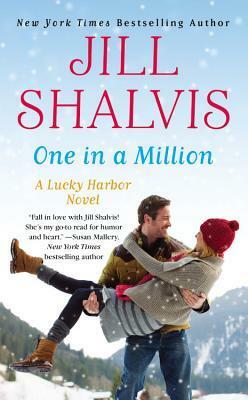 Shalvis is a bit hotter than Macomber but she does a good job portraying friendship and community like Macomber does. I have Simply Irresistible on my kindle now, not yet read. I was saving it for closer to the holidays to start the series (it has a holiday theme to it), but I don't know, your enthusiasm for the series has me rethinking that. 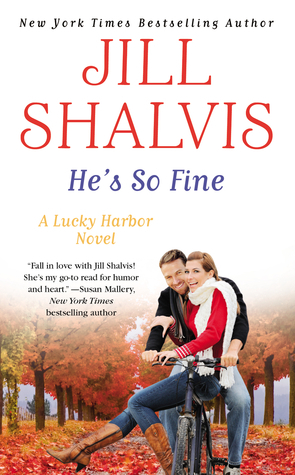 Or maybe I should start another series by Ms. Shalvis first :) Your love for the series is contagious and I want to read a Jill Shalvis right now, lol. It's been a long time since I read Simply Irresistible but I so remember enjoying it. I think the series gets stronger as it goes along. I had forgotten about the holiday theme on that one but it is good! Thank you! I've been in a suspense mood lately as well and have been mixing in more mysteries and thrillers. I think Shalvis has only gotten stronger. I don't think you'll be disappointed when you revisit her. I'm so glad to read this post. I read the first trilogy in the series a couple of years ago. Just checked Goodreads and saw I have the next trilogy on my kindle. Since you liked them so much I need to make time to read them! I think the trilogy you have was one of my favorites! The Chocoholics were really fun. I hope you enjoy them! This is definitely a series I'm sad to see end! That's cool that series is set up like. I agree it can seem daunting. I believe Abbi Glines does this with her two huge ongoing NA series'. I think you will enjoy them even though they're definitely more Contemporary than NA but the characters are so easy to relate too. I haven't read any of Jill Shalvis, but clearly she's in the same vein as Robyn Carr, Sherryl Woods, and Susan Mallery - which means I really should try her. Sometime in 2016, hopefully! Incidentally, Mallery does a similar thing with the series-within-a-series with her Fool's Gold novels. She's a little steamier than Woods but I think you'd really like her. The characters are just so great. That's an interesting set up to the series and it seems like jumping in anywhere would be easy. I have Head Over Heels sitting on my Kindle and her Animal Magnnetism books on my wishlist. Lol! I'm glad I'm not the only one who goes into series ending denial! I'm sad to see this one go. If I remember right Head Over Heels is about Chloe and is a great one. She has asthma and she actually has it instead of it just being mentioned occasionally. I think you'll like it. This is a series I forgot to put on my top five/ten list this week. I knew I'd forget some. I really do want to read all the books. You must read them! I was happy with how strong the series ended. I don't think this series ever disappointed me which is nice and a bit unusual.